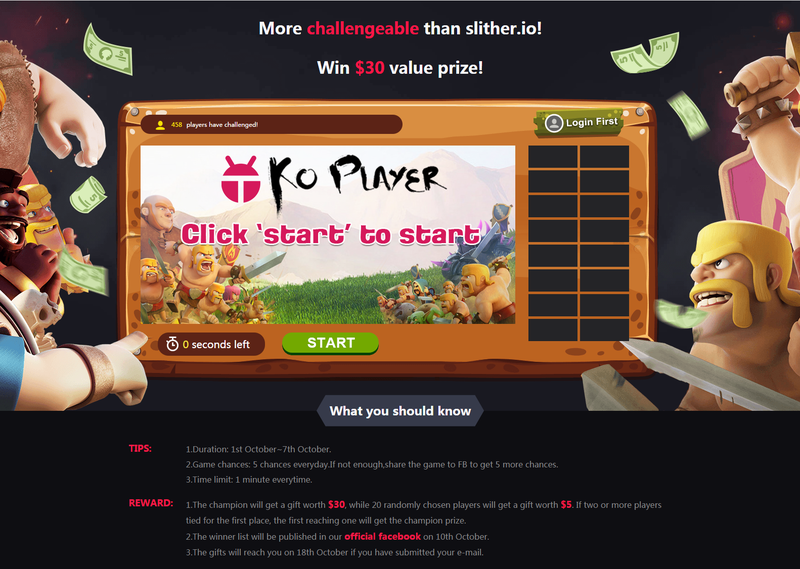 KOPLAYER Forum » KOPLAYER -- Android Emulator on PC (Windows/Mac) » Event » Winner list of jigsaw event is here! Winner list of jigsaw event is here! - Who is so lucky to get the $30 value gift? 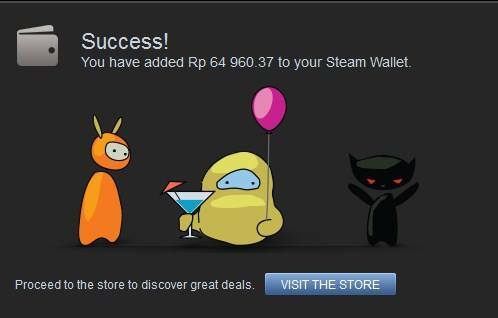 We are happy to tell you that all the Steam gift cards have been given out! Please check your email submitted. Here is a picture from the luck guys showing he or she has redeemed our gift card successfully. Well,some lucky guys in the event still haven't submitted their valid email.Please submit as soon as possible! The deadline is 19th October! And the gift card will reach you before 21st October! I‘m happy to publish the winner list of the interesting puzzle event from 1st October to 7th October. 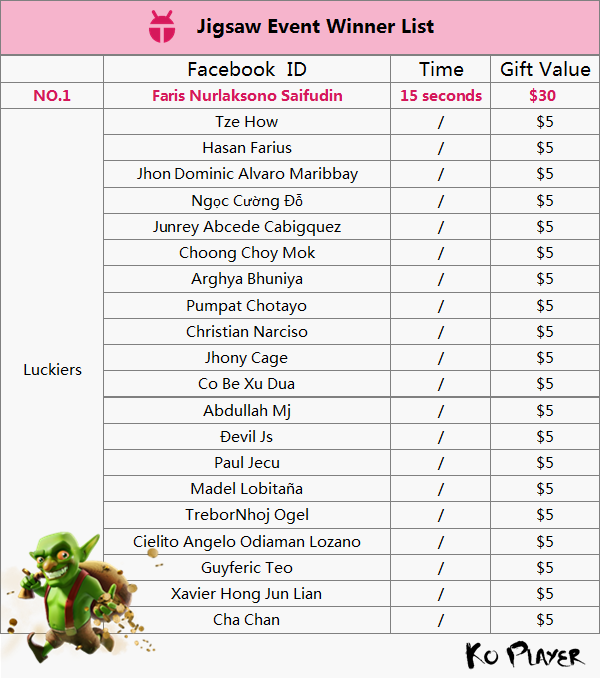 Faris Nurlaksono Saifudin is the biggest winner because he just spent 15 seconds finishing the game successfully.He will get $30 value prize! Other 20 participators will get a gift worth $5.Congratulations!!! Please PM your valid email to me before 14th October which is to send the gift to you!Don't forget tell us your facebook id at the same time! If you have submitted your email in the event page before,please ignore the attention. BUT IF YOU DON'T SUBMIT YOUR EMAIL IN TIME, WE THINK YOU HAVE GIVEN UP YOUR GIFT.